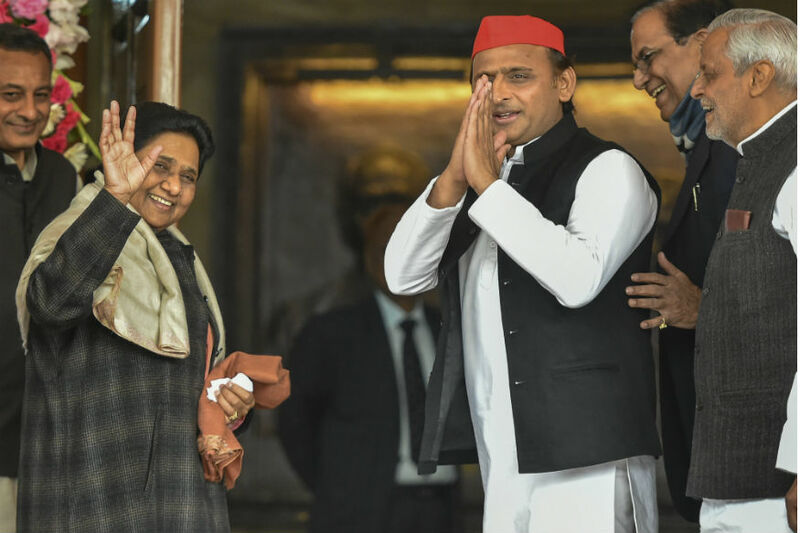 Kolkata: A week after announcing the crucial alliance with Bahujan Samaj Party (BSP) ahead of the 2019 Lok Sabha elections, Samajwadi Party (SP) chief Akhilesh Yadav has hinted that "more parties will come forward to join hands" for a better tomorrow. Speaking to News18, the former Uttar Pradesh chief minister said on Saturday, "Mamata di took the initiative to unite us for parivartan (change) to serve the nation. BJP has done nothing for the poor and downtrodden in the country. Today, farmers are unhappy. Youth are jobless and the country is going through an economic mess. Common man's dream was shattered due to GST and demonetisation. BJP needs to answer why it meted out such injustice to the people." Yadav further said that the message of change has begun from West Bengal. "One after the other, people are coming forward to be a part of this revolution. They are also realizing that removing BJP from power has become utmost important. I would like to thank didi (Mamata Banerjee) for taking this challenge. Badlav ka sandesh Bangal se shuru ho chuka hai," he said. In the context of prime ministerial candidate, the SP chief said, "They (BJP) are asking who will be the face of mahagathbandhan. I would like to ask them (BJP) the same question. Who will be their face this time?" When asked about the future of grand alliance, he said, "We had an alliance in UP with BSP. Here all the regional leaders are together. I personally think that this platform will play a very crucial role in this Lok Sabha elections. Therefore I came here. Mayawati ji has sent Satish Mishra ji here. Tall leaders joining hands are strong indicator of successful mahagathbandhan, and the credit for this goes to didi. We need to be learn many thing from her." When asked if he would personally support TMC chief Mamata Banerjee if she emerges as a prime ministerial face, Yadav, said, "Right now, it is not our priority. We are here to save democracy. Post can be decided afterwards." Later, at the 'United India Rally', organised by the Trinamool Congress chief at Kolkata's Brigade Parade Ground, Akhilesh said, "BJP is saying (on grand alliance) inke paas dulhe bahut hain, kaun banega pradhan mantri (they have too many grooms, who will be the prime minister). I would like to ask them the same question, who will be their face (PM post) this time." "They should know that this time people will decide who will be the prime minister and not anyone else," he added.